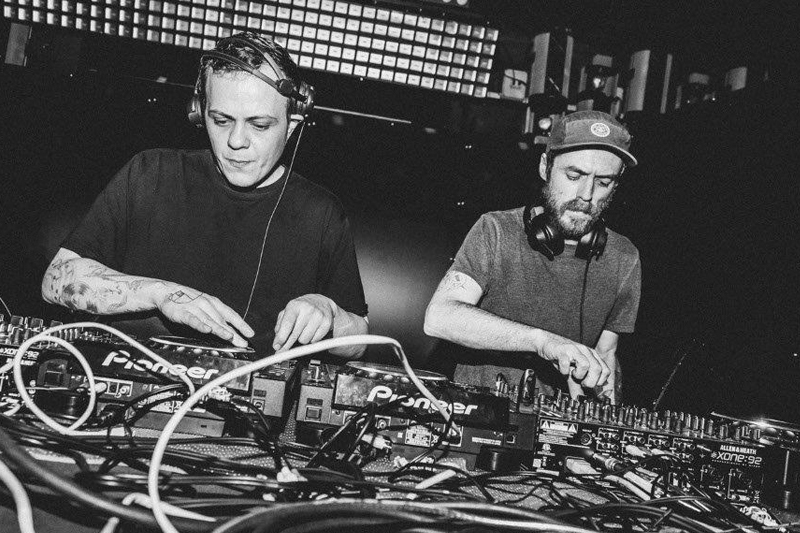 Enigmatic Mancunian duo AnD famously rose to prominence in 2011 after a slew of ground breaking releases characterised by their refurbished, stripped back and Dave Clarke inspired brand of techno. True vinyl purists, the two maintain strong analogue production ethics and showcase this in their heavy hitting live show. AnD’s modernistic approach has been endorsed by trailblazing UK imprints Project Squared and Idle Hands, whilst their purist ideologies have been employed by the visionary Horizontal Ground, Black Sun Records and Repitch labels. The two have also seen a release on Felix K’s Hidden Hawaii and Krill Music alongside Jonas Kopp. Together with Tom Dicicco, the three artists established Inner Surface Music, which has already garnered support from the likes of Regis, Surgeon, Lucy, Norman Nodge, DVS1 and many more. Embracing the shadowy outskirts of techno, AnD’s covert productions on their own self-titled white label series looks to push them even further into their own brand of sonic destruction. In doing so AnD follow in the footsteps of UK luminaries Surgeon, Regis, James Ruskin and The Black Dog by continuing to shape a genuine and unflinching vision of techno. Related Project : D.A.S. D.A.